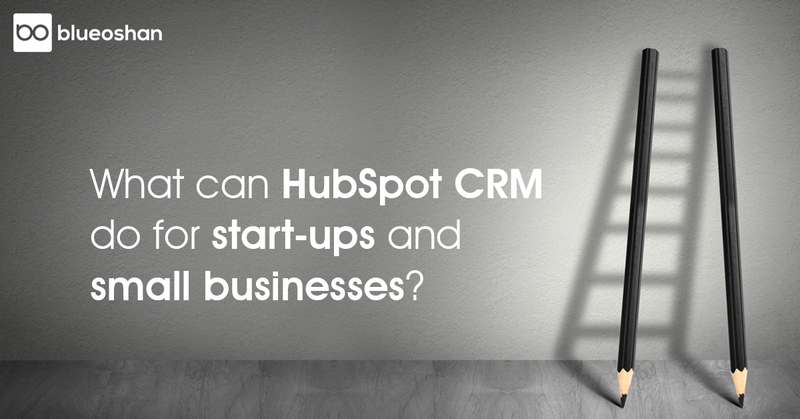 What Can HubSpot CRM Do For Start-ups and Small Businesses? 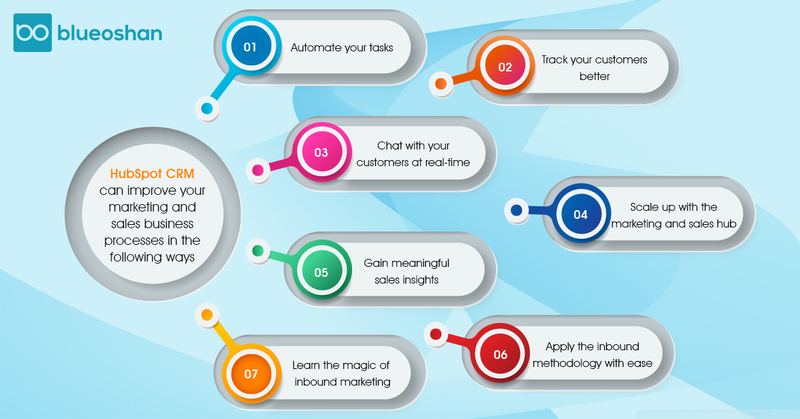 1.Automate your tasks: In 2015, HubSpot released their CRM, which automates tasks for your sales team. No longer do you need to deal with spreadsheets, messy inboxes and hard tools to slow down your workflows. With an easy learning curve thrown into the bag, HubSpot CRM can manage up to 1 million contracts, users, and storage. HubSpot CRM can be used by a team of 1 or a team of 1,000 employees. 2. Track your customers better: The CRM also tracks customer interactions automatically across mediums — social media, email, notes etc. — and stores the information which will come in use for the marketing and sales teams as well. One of the best features of HubSpot CRM is that it tracks all customer interactions automatically whether it be email, social media or phone calls. The fact that it syncs completely with Gmail and Outlook makes it easier to implement, save emails and keep tabs on meetings. 3. Chat with your customers at real-time: HubSpot CRM allows you to build better relationships with your customers through personalized real time one on one conversations. HubSpot CRM includes free tools for live chat, team email, and bots, plus a universal inbox that gives sales, marketing, and customer service teams one place to view, manage, and reply to all conversations — regardless of the messaging channel they came from. 4. Scale up with the marketing and sales hub: What can take your sales and CRM capabilities to the next level is when you use the CRM alongside the marketing and sales hubs. This might mean a change in the pricing, but the ROI is worth it. The contacts from HubSpot CRM will be saved in your marketing and sales hub as well, and you can integrate your email with CRM, thereby increasing the functional capabilities. 5. Gain meaningful sales insights: HubSpot CRM features an intuitive UI and dashboard that gives you insights into your entire sales funnel. You can track performance, appointments scheduled, contracts and much more with ease. When a sale is made, or an appointment is scheduled it shows up on the dashboard, which gives you a streamlined visual representation of what is happening in your organization. You can customise the dashboard to show you what you want. 6. Apply the inbound methodology with ease: The pioneers of the inbound methodology, HubSpot is known for its stellar software products in the area of sales and inbound marketing. HubSpot CRM works nicely with the inbound methodology, converting leads into deals in a clear and systematic way. 7. Learn the magic of inbound marketing: HubSpot has HubSpot academy available on their platform which allows you to learn all the tricks of the inbound marketing trade. The tutorials are really helpful for beginners and will allow you to take full advantage of the HubSpot CRM. You can even take the HubSpot certification test and become a professional on HubSpot services. For someone new to CRM but already familiar with HubSpot’s line-up of products, using their CRM is a good move. Since it’s also free it makes it perfect for start-ups and small businesses. You don’t have to be particularly tech-savvy to use it, it’s easy to get a hang of and you won’t have to spend a ton of time training new users. If you’re planning to onboard HubSpot CRM for your company, contact our inbound experts for more information. BlueOshan is certified HubSpot partner, and we have helped many SMEs onboard HubSpot CRM and their other services.